organized as part of the executed project "Improvement of health care of the elderly, dependent and chronically ill people from Żary and Lubsk and the rest of the southern area of the Lubuskie province". The trainings are addressed to carers and family members, who found themselves in situations of having to take care of a chronically ill person or might in the future. The training topics will allow to get familiar with problems that one faces in everyday care and nursing of chronically ill, ways of solving them and support possibilities provided by the health care and the social welfare system. The training will take place from 9 a.m. to 1 p.m.
Żary: The Lusatian Academy of Humanities named after Jan Benedykt Solfa 11 9th of May St.
Lubsko: Secondary School Complex 10 Chopin St. 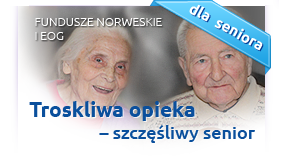 Registration through an application form available at www.szpitalnawyspie.pl or in the office of the hospital in Żary 2 Pszenna St. and in Lubsko 2 Poznańska St.